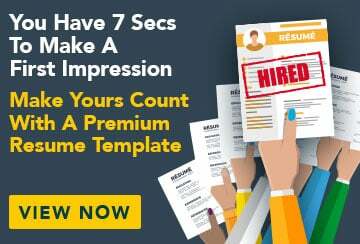 This free sample resume for a human resources manager has an accompanying sample human resources manager cover letter and sample human resources manager job advertisement to help you put together a winning job application. Experienced, practical and outcome-oriented human resources specialist with a proven track record in delivering a diverse range of human resources functions that support management and staff in achieving organisational goals. Extensive experience sourcing, hiring and retaining high-performing individuals by implementing a thorough selection process, high-quality training and an ongoing mentoring system. Ability to identify highly motivated, results-driven staff members and provide professional development for leadership positions. Proficient at managing existing day-to-day processes while developing and implementing new business strategies in dynamic and high-pressure environments, requiring the ability to multi-task and effectively manage staff relationships. Ability to remain abreast of constantly evolving industrial relations and Occupational Health and Safety laws. Highly skilled at processing this technical information and advising businesses as to their obligations and responsibilities. As the Chair and team member of the Operational Management Group, I provide operational support to managers and team leaders. CHS has a workforce of over 700 staff in more than 15 locations across New South Wales and Victoria. Provided industrial relations advice and coached line managers in the implementation of HR principles. Streamlined recruitment process and project managed recruitment of over 100 staff in multiple disciplines for commencement of a new contract. Identified and project managed a review of the business unit managing care and domestic workers, which included an evaluation of unit structure, job roles, functions and systems. Reviewed and implemented new induction processes, gaining buy-in from the leadership team and resulting in increased retention rates. Reporting directly to eleven partners and the General Manager, I was responsible for the day-to-day management of all Human Resource functions for over 120 employees in three locations, national and international. Responded to organisational change and provided support to Managers in effectively executing change management plans. Managed the coordination of six-monthly reviews of all staff and conducted salary benchmarking and training needs analysis for each review period. Designed, implemented and monitored marketing strategy, encompassing print and online media to boost graduate recruitment. Developed and implemented processes for a mobile workforce, which was required following interstate and overseas expansion. Reporting to the Finance and Administration Manager, I had responsibility and accountability for the day-to-day coordination, administration and operation of human resource systems and processes within the Wanderers Football Club. The club employed 40 full-time workers and between 30 and 100 casuals per week, depending on events and functions held. Represented the club at an Industrial Relations Commission regarding Safety Net adjustments and dispute resolution, including arbitration and conciliation. Assisted and advised management and staff with recruitment of full-time personnel by compiling and arranging advertisements, finalising contracts and appointment letters and advising all candidates. Provided support through coaching and mentoring management in conducting performance conversations and reviews. Provided overall responsibility for payroll processing for over two hundred staff across 5 different awards.